Petron Fast Prize promo has been taking its huge wave from the day it started. Prizes and prizes and lots of prizes are taken almost everyday. 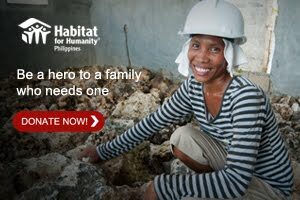 This part of Petron Corporation also to give back and give a gift for all their consumers and supporters. 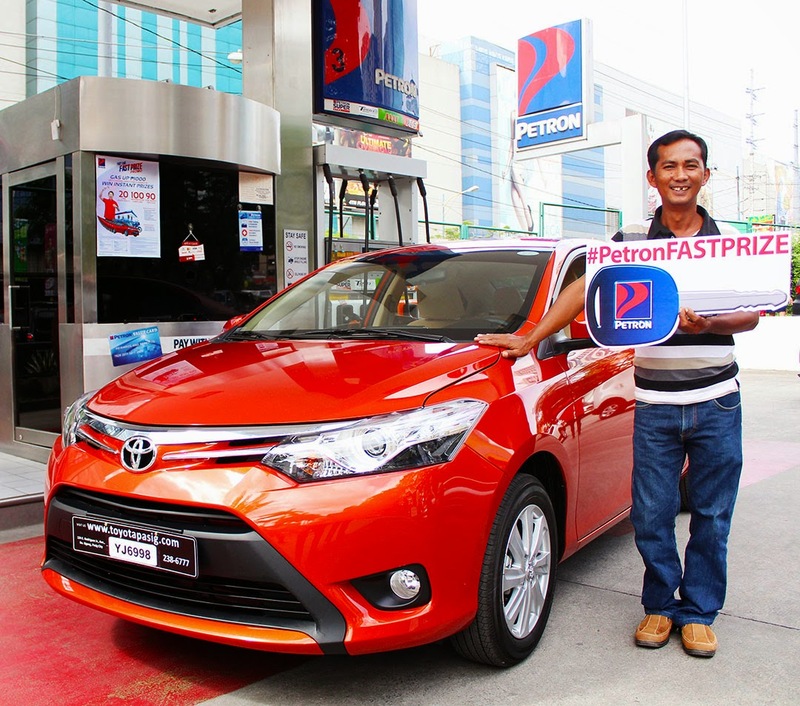 From November 15, 2014 to February 15, 2015 these are the winners like Ferdinand Siobal, a businessman, was feeling lucky when he saw the tarp announcing Petron’s Fast Prize promo, jokingly telling his wife, “Do you see that? What if we take home the Toyota Vios?” Even with his tank still half-full, he decided to stop at the Petron station in Marikina and fueled up his Nissan Navarra with P1,500-worth of Diesel Max. True enough, he got his wish and was the first winner of a major prize in Petron’s ongoing Fast Prize promo. A bus conductor from Cebu, Joelmar Carcueva, will also be bringing home a brand new car. With his driver, Carcueva took their passenger bus to fuel up on with P1,500-worth of Diesel Max at the Petron station in Naga. He was speechless when he opened the peel-away coupon and saw the words “Toyota Vios”. Looking ahead, he plans to use the car as a for-hire vehicle, to augment the family income. Another lucky winner is Rodolfo Sumalinog, who received a Petron Value Card preloaded with P88,000 worth of points, equivalent to free fuel for a year. The 60-year old Sumalinog drives an L300 van for his church. Together with his churchmates, he was on his way to a service in Apalit, Pampanga, when he stopped at Petron-Ampid to gas up with P1,000-worth of Diesel Max. Now, with his win, his church is blessed to have free fuel for a year. Other winners of free fuel for a year include Elena Deliña Reyes in Isabela; Danilo Espadero in Catbalogan City, Samar; Jovi Sequina in Congressional Avenue, Quezon City; and Lani Manalac in Davao City. Winning a Honda CB110 motorcycle are: Neslie Mendoza Saberon in Marilao, Bulacan; Renerio Cabatingan in Pagadian City, Zamboanga del Sur; and Narcel Lopez in Calamba, Laguna. With more than half-a-million instant prizes at stake, there are lots of major prizes still waiting for the lucky winner until February 15, 2015. Just fuel up with P1,000 worth of Petron Blaze 100, XCS, Xtra Advance, Super Xtra, Turbo Diesel, or Diesel Max at any participating Petron station nationwide. Prizes include Toyota Vios automatic transmission cars, Honda CB110 motorcycles, Petron Value Card points worth P88,000 equivalent to free fuel for a year, Go Pro Hero 3+ cameras, Apple iPhone 6 16GB smartphones, Samsung Galaxy S4 with Samsung Gear Fit, Apple iPad Air 16GB, Samsung Galaxy Tab 4, HP F310 car camcorders, Nike Fuel bands, Casio G-Shock watches, Rainbow Loom Band sets, Petron engine oils, and free fuel worth P250, P150 and P50. 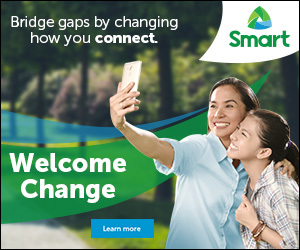 Hurry, gas up at the nearest Petron station and take home an instant prize this new year, all the way up to February 15, 2015.